In woodcraft, preparing suitable work material is tantamount to producing a quality finished product. And enhancing the accuracy of your wood planer through proven techniques will play a large role in that success. Below are four tips for both experienced and green horn woodworkers. There is overwhelming evidence that tear-out, grooves, and chippings caused by dull or chipped blades thwarts woodworking proficiency. Sharp tools not only require less effort to use effectively, but also cut clean. Keeping the planer blade razor-sharp is vital, but perhaps of greatest importance is examination of the setup. Make a test cut after the sharpening or changing the knives. 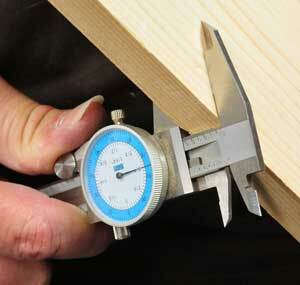 Then, employ a caliper to check the board thickness across the width to ensure a uniform cut. This will help you to determine the precision of your blade setting. The thickness must be parallel at both edges; otherwise the blades are not parallel on the table. On the other hand, if the planer at the start cuts a profound snipe, two things may be wrong: either the feed roller pressure is incorrectly attuned or the bed rollers are imprecisely set. Allot of carpenters are not aware that you need to plane equal amount of stock from each surface of a board to avert cupping if internal tensions exist in the wood. 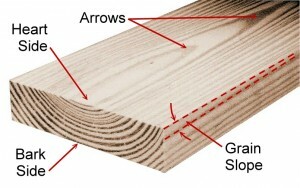 One of the often ignored common mistakes made by woodworkers is planing virtually all woods with the same feed rate. Scrub your wood stock and ensure that you avoid used wood or plywood. Harder woods tend to slow feed rate and induce shallow cuts. You need to consider the width of the stock when adjusting the settings. For example, wide stock is suitable for slower feed and shallow cut. Careful inspection of your stock in order to detect grain direction will aid in the determination of how to feed your stock. You can identify the grain slope at the edge of the board. In situations where you have rough-sawn lumber, simply use the hand plane to expose the wood grain at the edge. Knowing the grain slope direction will help your decision on how to feed the board into the planer. Aside from achieving improved milling, by the following advice below you will have a safer and more proficient use of your planer. Safety and productivity revolves around careful attention to motor during planer operation, specifically speed and feed rate. In situations where the board tears out, though you may have been planing along the grain, turn the board around and feed it in the opposite direction. If after this the tear endures, minimize the depth of cut. Ensure to take away your stock quickly while waiting for your desired thickness to emerge. This will promote smoother surface while minimizing mill marks. Always try to hone the planer blades with a fine slipstone before you start in order to ensure a better surface and maintain knife sharpness. 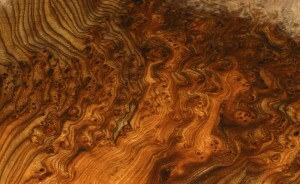 Equally ensure that you wax and polish the planer’s bed to aid easy feed of the wood. Also remember to stand on the same side of the planer as the switch since this helps to guard you against any kickback. The pressure of feed rollers does not impact permanently on the boards as they cut. As soon as the pressure is let go the board returns to its former shape. Unexpectedly, planers cut a surface exactly parallel to another but will not remove twists and cups—true lumbering. You can get this done through the use of hand planer. One major stock imperfection that has almost defied mastery of all types is figured woods. This is because it doesn’t have consistent grain direction. By implication, Regardless of your feed direction, you are always going against the grain. This causes the knife to lift the wood fibres and cause a tear-out thereby leaving the surface scratched and chipped. This is where a router comes to play a significant role and may help to reduce or eliminate tear on figured wood. This technique is fairly difficult and time consuming, replace the stock with a different piece if at all possible. It is expected that any woodworker understands the need to avoid reaching under the protective cover or the planer’s hood while it is functioning. Though any master craftsmen can attest that there are times when they have circumvented the safety equipment of many of their tools, caution demands that certain principles should always be adhered to. KEEP YOUR HANDS AWAY FROM THE FEED! Some of the worst stories of limb loss are from shop tools with automatic feeders, the wood planer is no exception.